The power management control ECU receives brake signal information from 2 sources. 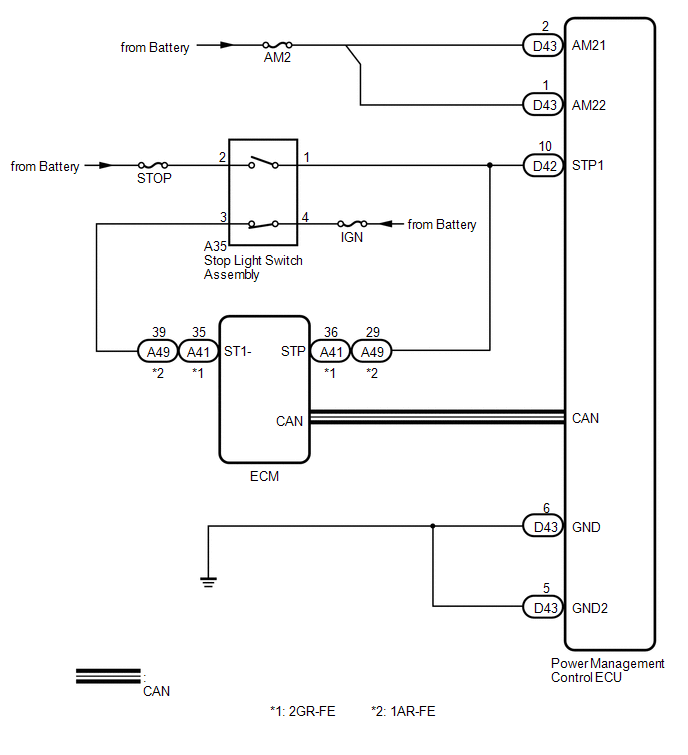 It receives a signal from the stop light switch assembly via a direct line, and a signal from the ECM via CAN. If the information from these 2 sources is inconsistent, this DTC will be stored. 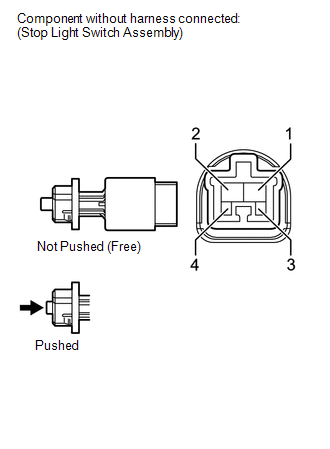 Stop light switch assembly operation information received by the power management control ECU from the stop light switch assembly via a direct line and stop light switch assembly information from the ECM via CAN are inconsistent. ON and OFF do not appear on the screen. ON and OFF appear on the screen (for 2GR-FE). ON and OFF appear on the screen (for 1AR-FE).